The revelations about Mr. Rosenstein come as Mr. Trump has unleashedanother round of attacks in recent days on federal law enforcement, saying in an interview with the Hill newspaper that he hopes his assaults on the F.B.I. turn out to be “one of my crowning achievements” and that he only wished he had terminated Mr. Comey sooner. 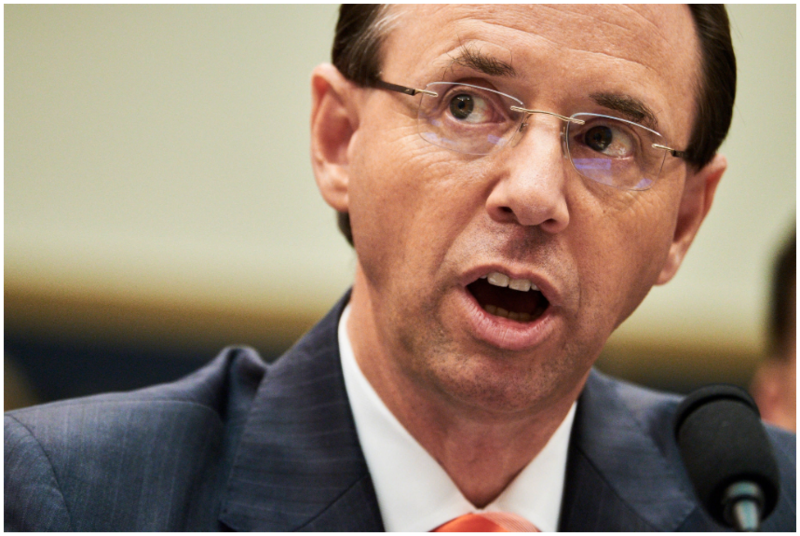 On a brisk May day, Mr. Rosenstein and his boss, Mr. Sessions, who had recused himself from the Russia investigation because of his role as a prominent Trump campaign supporter, joined Mr. Trump in the Oval Office. The president informed them of his plan to oust Mr. Comey. To the surprise of White House aides who were trying to talk the president out of it, Mr. Rosenstein embraced the idea, even offering to write the memo about the Clinton email inquiry. He turned it in shortly after. Mr. Cole and Mr. Rosenstein have known each for years. Mr. Cole, who declined to comment, was Mr. Rosenstein’s supervisor early in his Justice Department career when he was prosecuting public corruption cases. 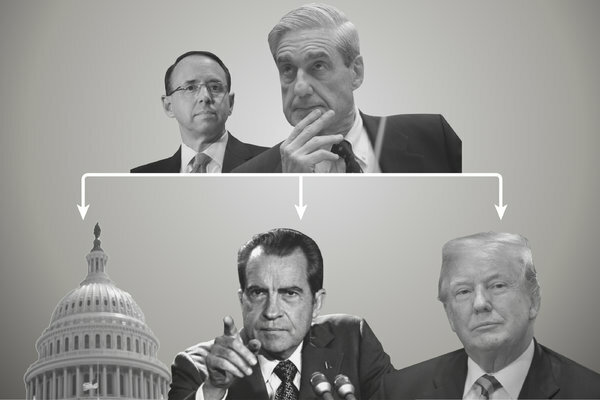 Mr. Trump and his allies have repeatedly attacked Mr. Rosenstein and have also targeted Mr. McCabe, who was fired in March for failing to be forthcoming when he was interviewed in an inspector general investigation around the time of Mr. Comey’s dismissal. The inspector general later referred the matter to federal prosecutors in Washington.